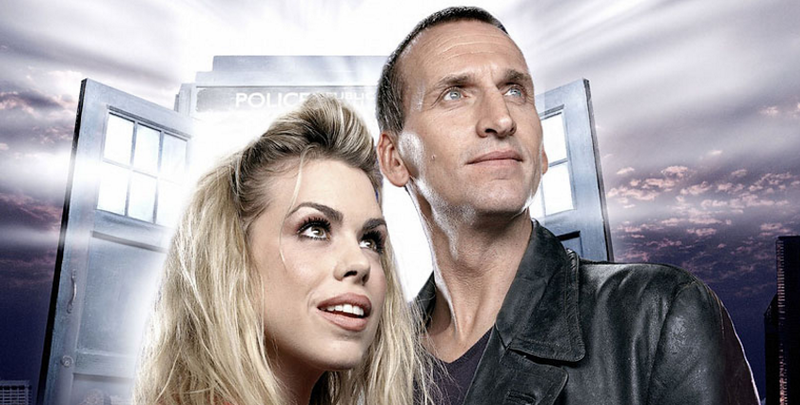 Doctor Who returned to our screens over 11 years ago, in that time we've had 9 full series and countless special episodes and spin-offs, but now it's time for us to order them...the question is, where would you place each series? From Eccleston, to Tennant, to Smith, to Capaldi: read on to find exactly what we placed where and why, some may even shock you. Just because something is the lowest, doesn't mean that it's bad. 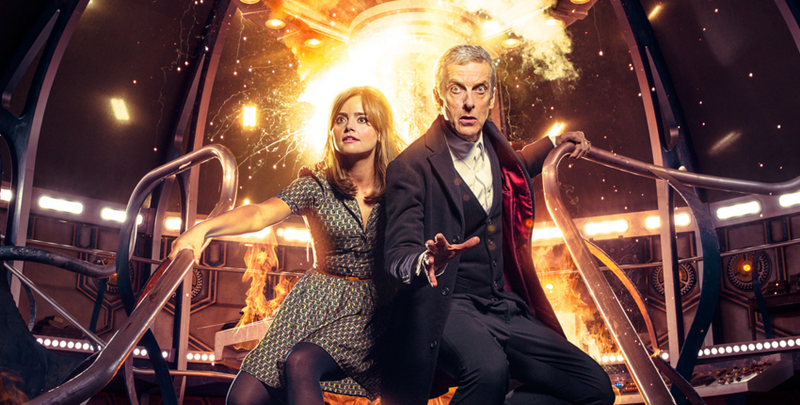 Doctor Who series 3 was hit-and-miss, more so than any other series. 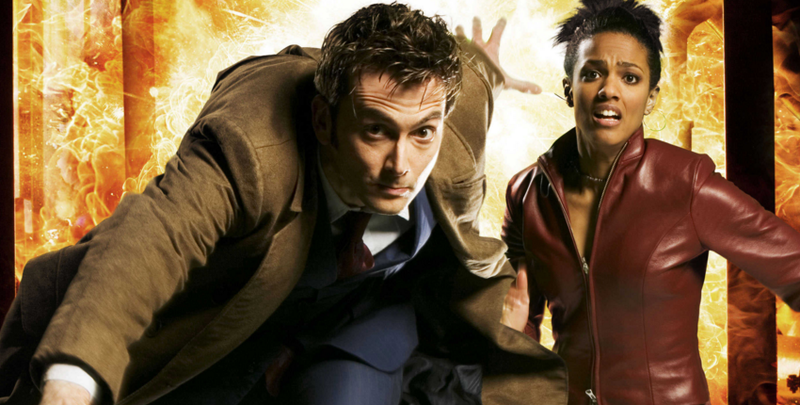 With probably the weakest companion introduction, Martha Jones is thrown into the world of the Doctor while at work, much like the previous companion (Rose Tyler), there's a certain level of attraction on her behalf towards him which just gets in the way of the character, although in the finale there is a certain level of redemption. The first few episodes are very weak with stories that just don't seem to stick, it's not until the later half of the series, such as Human Nature/The Family of Blood that we see some really good stories and character development. Series 6 is widely regarded as the series where it was a bit...off, but that's not entirely the case. Sure, it was more River Song orientated than the majority of us would have liked but that's not a reason to disregard those stories or the entire series. 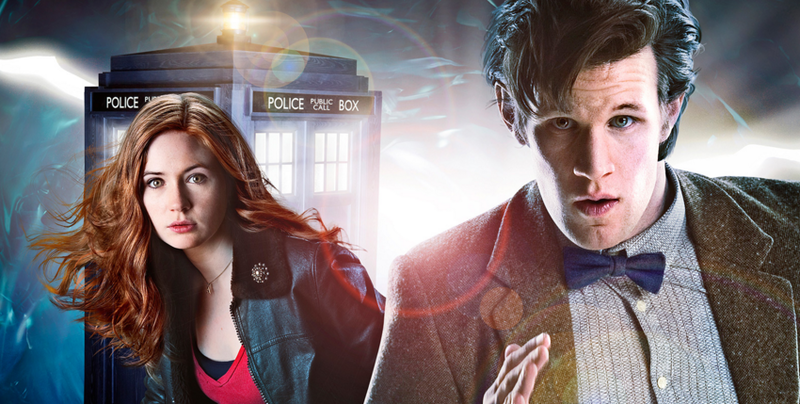 With gems like The Impossible Astronaut/Day of the Moon, focusing on an alien race that you can't remember, another thought-provoking concept from Steven Moffat, to the emotional and romantic The Girl Who Waited (featuring Karen Gillan in two roles), it's a beautiful series with very few episodes that we would rate less than 3/5. Series 8 was always going to be rough, with the general public initially sighting Peter Capaldi as being too old to appeal to a young and modern audience but looking back on the series now, we can all see how wrong we were. 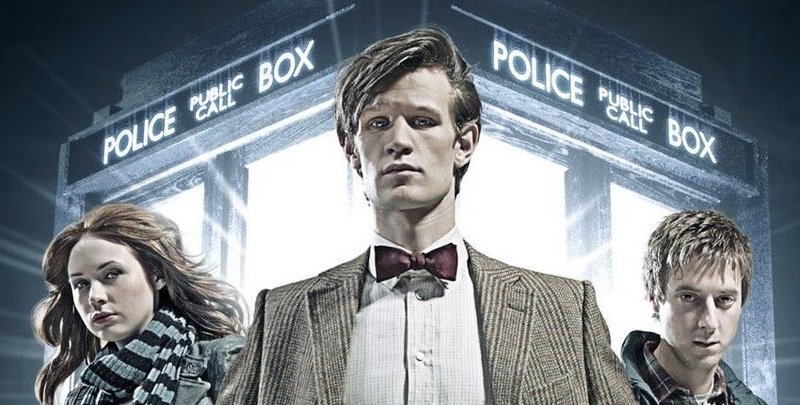 Starting with a feature-length opening episode with already established characters, it allowed for a smoother transition for the audience from the bubbly Matt Smith to slightly darker Capaldi. 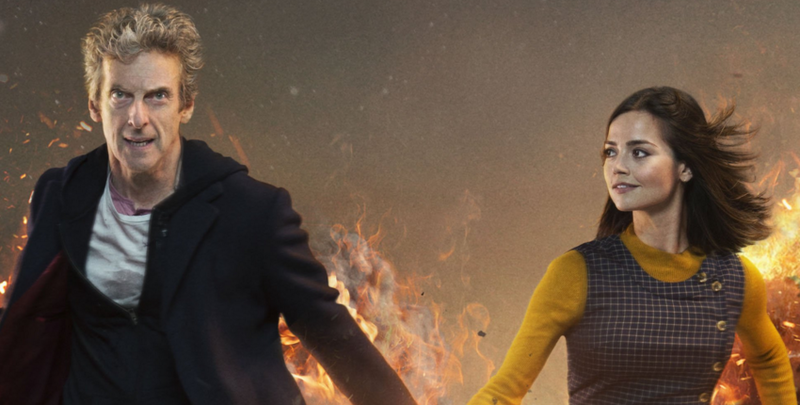 As the series progressed there was very little progression with the character of the Doctor, more development instead took place with companion Clara Oswald. This series also saw the re-introduction of The Master, in a new-form going by the title of Missy - something which we welcome with open arms as Michele Gomez has proven herself to be an amazing incarnation. It isn't a series we would use to introduce people to the show, but it's one that we would suggest they watch (almost) every episode of it, but we'd suggest they skip In the Forest of the Night. 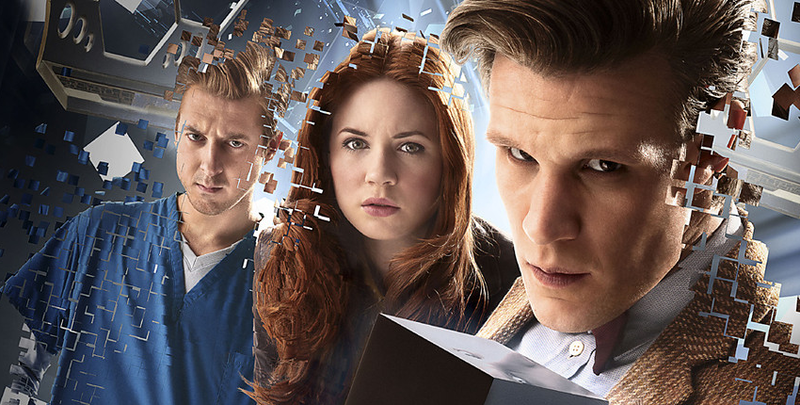 Before this series even started, we knew of the imminent departure of companions Amy Pond and Rory Williams, which sort of over-shadowed the first part of the series, and the second half the series focused more on solving the mystery of The Impossible Girl, Clara Oswald. 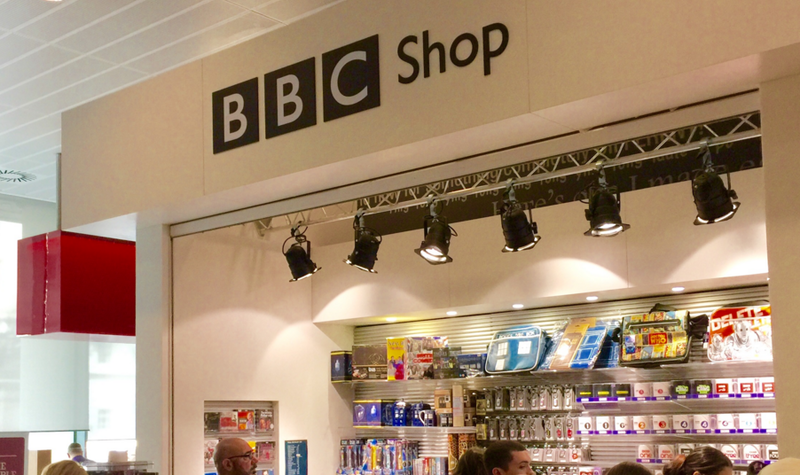 This doesn't however over-power or divert from any of the stories in Series 7. There are some gems in this series, and controversially we seem to like the one's that everyone hates: The Power of Three is amazing, taking place over the course of what seems to be two to three years, we see the Pond's grow up surrounded by a quiet invasion and we don't get all the answers...and that's okay, we like that. A Town Called Mercy, The Rings of Akhaten, The Crimson Horror, all fantastic stories that helps series 7 get it's place, but there are some unfortunate stories that just...sunk, like Cold War and Dinosaurs on a Spaceship. It was a mixed bunch, but the majority of the series was really impressive! Series 9 was a tricky one to place, we felt like it should be placed higher but when we compare the content between this and what's ahead, it unfortunately fell short. There are some amazing stories in this series with some amazing guest stars but there's just something that didn't click between the stories, that made each two-parter seem like it was plucked from different series' and re-written for these characters. The series opener for Series 9 is one of the strongest, with Missy coming straight back and the return of classic villain and Dalek creator, Davros in one of the most thought-provoking and emotional stories we've ever seen the Daleks involved in, for a short amount of time, we actually felt sorry for Davros and felt uncomfortable when they both were laughing together - that's a rarity in Doctor Who these days and it's something we'd love to feel again. Every story had it's merits, and only one fell sort (Sleep No More), but the finale (and the kind-of prequel Face The Raven) was one of the best stories we had seen...and there wasn't technically any monsters at all, and for a sci-fi show that's a rarity. Series 1 was the first series we saw, but Series 2 has a special place in my heart. It was the series that got me hooked on Doctor Who. There's emotion, there's heartbreak (multiple times), there's Earth, there's the first alien planet of the new new series (see what we did there?). 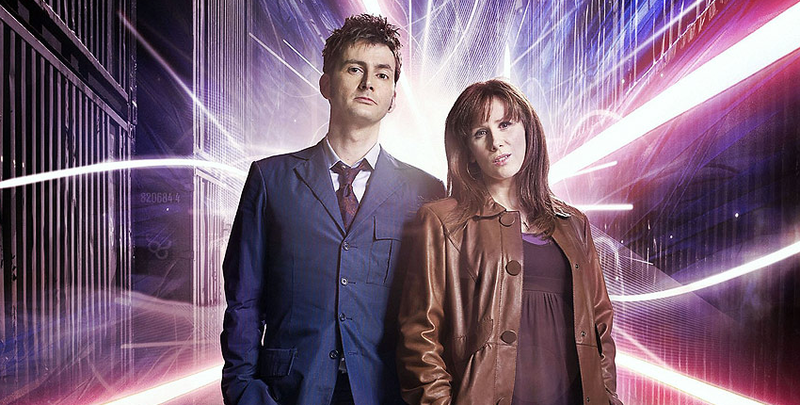 The dynamics between the 10th Doctor and Rose is something different to the 9th Doctor, there's a glint in here eyes and a level of love for each other that makes the series finale even harder to take in - who knew the Daleks and Cybermen could cause a relationship break down, that'll be soon sorted by Catherine Tate? 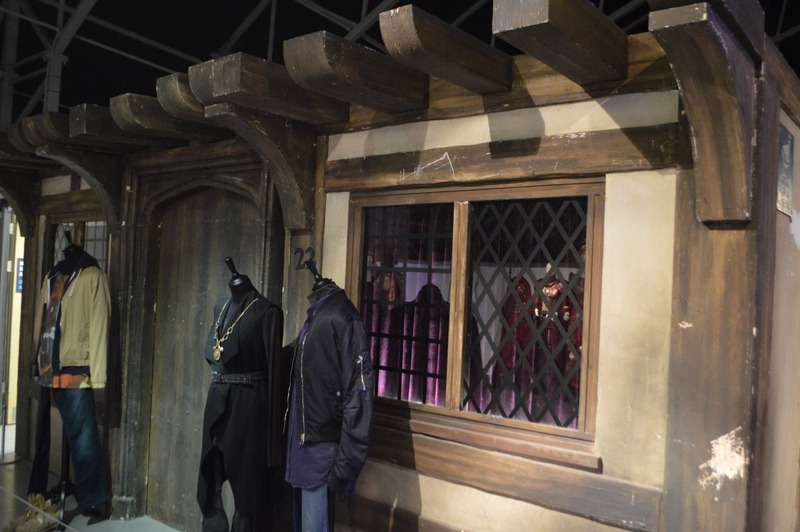 The pivotal moments in the series perhaps in the two-parters, where there is enough time for character development and there are hints towards the future. The Age of Steel sees the departure of Mickey Smith, the first time in the series since its return that a companion had left, preparing us for Rose to leave later in the series. The Impossible Planet/The Satan Pit was also a fantastic story, dealing with the concept of the devil, throwing in a new (and constantly returning) species of alien called the Ood and a black-hole and you have a ticking-time-bomb of adventure which at a young age, was pretty frightening. There is no denying the chemistry between The Doctor and Donna, it's what makes series 4 so bubbly and exciting - they keep each other on their toes and we finally start to think that the Doctor may have met a woman who can keep him in line with her questioning his morals at several points. 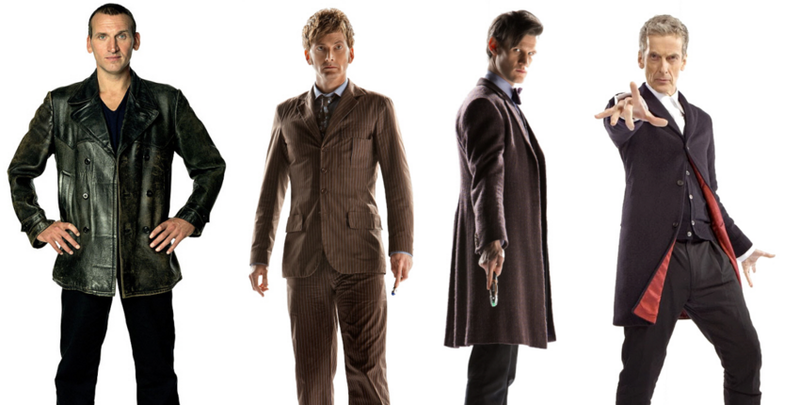 Each episode takes us on an adventure of exploration, from the past-time travelling adventures like The Unicorn and the Wasp, to the futuristic Midnight - every episode had a different feel, but the dynamic between The Doctor and Donna bounded them together more than any other series or the two main roles have before or arguably since. 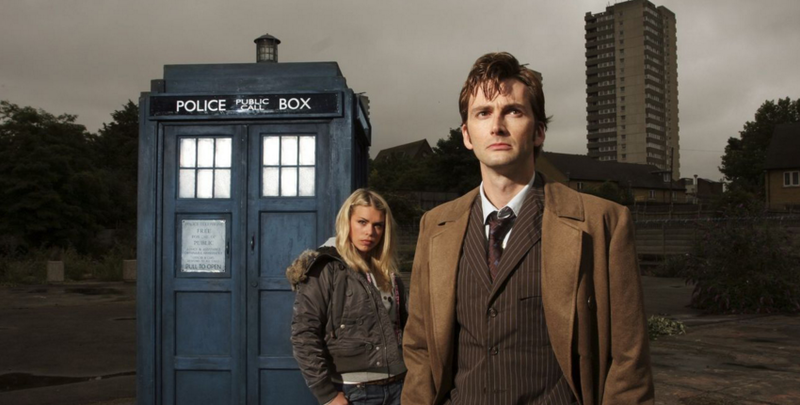 This series also technically included the 2009 specials, which allowed us not only to say goodbye to David Tennant, but all those characters from his era, and to head-writer and show runner Russell T Davies, it was one hell of a ride, and we we're glad to be there with every character as we said goodbye to the 10th Doctor. Oh, and this series had Kylie Minogue guest-star, what more could you want? 2004 brought amazing news to Doctor Who fans, and when the first new series in over 15 year arrived, it was just as amazing as we had hoped. Sure, there are a few episodes that looking back on now, the humour was either mis-judged or overpowering but you can't deny the stories are amazing. Our first proper adventure takes us to a space-station in the year Five-Billion to see the Earth burn as the sun expands, not bad for a first date. Soon enough we're back on Earth for the Slitheen invasion (and Margaret's follow-up attempt later in the series), we see a gas-mask plague take over London and we see the return of the Doctor's arch enemies - The Daleks, with a whole fleet armed to the teeth, the threat felt very real in series 1 and watching it back, it still does. The one thing that we like most about series 1 compared to other series' is that we don't actually leave Earth - there isn't a single story that isn't either set on, or above Earth and that, perhaps, is what makes this series feel most real...oh, and Christopher Eccleston makes an amazing Doctor, that too. "You've got a real time machine" - in a sense, Series 5 was risky, perhaps riskier than Series 1. The biggest (on a worldwide scale) Doctor had just bowed out of the show and no one truly new what the reception would be to a much younger and crazier Doctor. 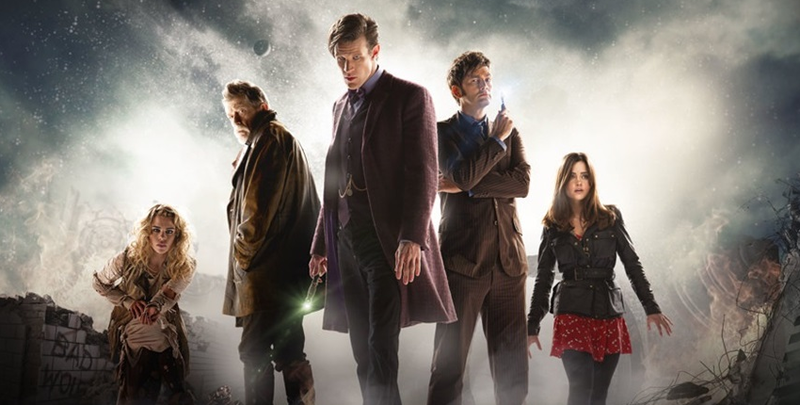 Throughout this series, there isn't a single episode that we'd skip, with the nerve-wracking The Eleventh Hour, to mysteries like The Beast Below and Amy's Choice, and then finally the climatic The Pandorica Opens/The Big Bang, it is the perfect series that brings us a new Doctor, two new companions and a new TARDIS and even a new (bigger) sonic screwdriver - bravo Steven Moffat! One thing that makes this series stand above any of the others is the dynamics between the cast, linked with the brilliant writing. Matt Smith and Karen Gillan get on so well off-screen that on screen there isn't any doubt that they play best friends (and future family members). Throw a series arc in there and you've got the greatest series, from the worlds best science fiction show. We couldn't throw this in and classify this as a Series 7 special because it's an iconic celebration of 50 years of Doctor Who, and it's every we'd have wanted. The amount of times we've watched this special episode and spotted something new is unbelievable, the level of detail and dedication that went into this episode should be commemorated. Every Doctor was involved somehow, even the future 12th Doctor, references to past companions and old title sequences, old monsters but new stories. This special was fantastic and is deserving of a category of it's own, it is the story of the Doctor, his home, his war and his guilt - and it's a journey we were all proud to be a part of in 2013. Thank you, to everyone and anyone involved. You made that day Doctor Who Day, and left us with a legacy to carry on for many years to come. 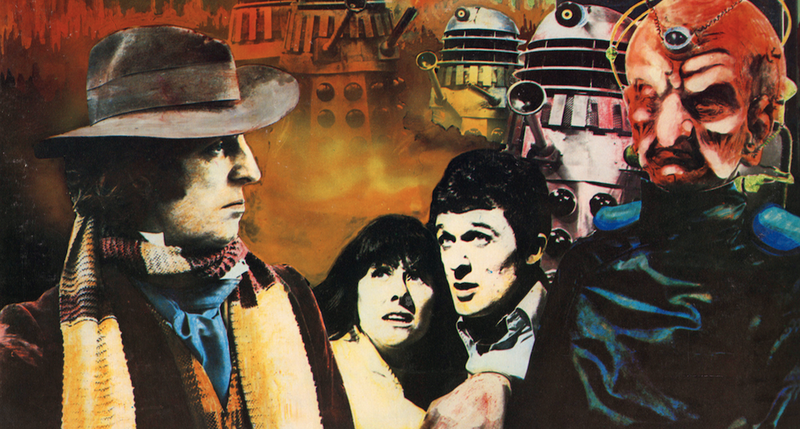 One of Doctor Who's most classic story, Genesis of the Daleks is getting a vinyl release by Demon Records to celebrate Record Store Day! This special release is a re-issue of the classic audio Doctor Who adventure, which was originally released in 1978 on BBC Records. This collector’s edition is released on 180g heavy weight ‘TARDIS blue’ coloured vinyl and is a must-have for all Whovian vinyl-collectors. The recording was one of the first Doctor Who audio adventures, a condensed soundtrack version of a TV episode with Tom Baker providing bridging narration. The story unfolds as The Doctor travels to the desolate planet Skaro to avert the creation of the Daleks, much-like the TV episode.